Over the past decade, we have witnessed a major transformation in our ability to treat patients and to understand pathological conditions that exist under the umbrella of rheumatic disease. The foundation of the Division of Rheumatology is built on diversity within our research areas of focus and within our individual clinics that are centered on a multitude of rheumatic diseases. Chicago Magazine rated our rheumatologists among the list of the "Best Doctors in Chicago." Additionally, U.S. News & World Report rated us as high performing in the United States for rheumatology. Our clinics focus on rheumatoid arthritis, psoriatic arthritis, ankylosing spondylitis, osteoarthritis, scleroderma and systemic lupus erythematosus. More recently, we have established vasculitis and ultrasound-imaging clinics into our division. Our faculty are leaders in the field of rheumatology. They are chairpersons of study sections for grant reviews, editors of rheumatic disease journals and executive members of various rheumatic disease societies. The research performed by our faculty is predicated on the collaborative nature of our division and has led us to be active participants and leaders in both clinical and basic science areas of rheumatic disease. Examples of programs in team science include the Accelerating Medicines Program, the FIRST-DailyLife Core Center for Clinical Research, P30 Research Cores and program projects that span multiple divisions throughout Northwestern Medicine, including Cardiology and Pulmonary and Critical Care Medicine. Our fellowship program is one the few across the country that is funded by an National Institutes of Health T32 training grant, and has been for the past 15 years. While we accept only two fellows a year in to our ACGME-accredited program, fellows have the option to complete a third, unaccredited year that centers on research. Over the past 10 years, our third-year fellows were highly successful in obtaining extramural grant funding and staying in academic centers or industry. 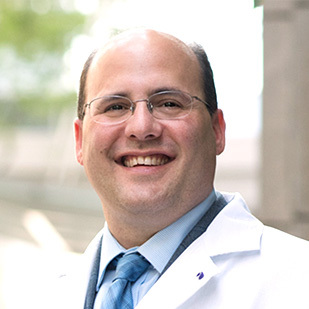 With the Ann and Robert H. Lurie Children’s Hospital of Chicago now located near the Northwestern campus, we have established a new collaborative initiative to train adult and pediatric rheumatologists. As the new chief of Rheumatology, one of my central goals will be to establish our division as one of the leaders in the omics arena (DNA, RNA, protein and metabolome). We will accomplish this by setting out a major initiative in expanding and in some areas, creating biorespositories on tissue isolates from the end organs of patients with rheumatic disease. Whole populations and single cells will be analyzed for their epigenetic, genetic and proteomic profiles. Our ultimate goal will be the development of a center for precision medicine that will help dictate a specific course for personalized treatment of each patient. I look forward to this challenge and expect great accomplishments from our faculty.